Newborn Alena Rose Jonas has brought The Jonas Brothers closer together again. Joe Jonas' new niece has brought his family closer together. 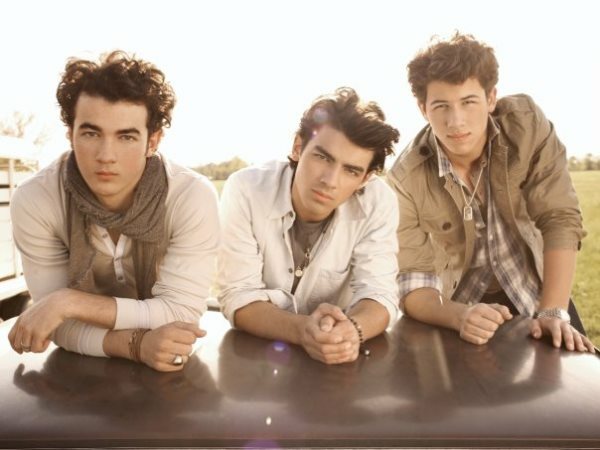 The 24-year-old singer and his brothers, Kevin (26) and Nick (21), sparked rumours of a bitter feud when they announced the end of their group, The Jonas Brothers, in October, but his older brother's newborn daughter, Alena Rose, has reinforced their bond. He told E! News: "I don't want to sound cheesy saying that but you just want to spend more time with each other and you're just excited for the next chapter for each other's lives." He added: "I'm so happy for them. I mean he is a dad now and it's kind crazy." Kevin and his wife, Danielle, welcomed their first child into the world last Sunday, and Joe was scared to hold the tot after meeting her for the first time. He said: "She is so tiny, it kind of scares me. She was awake, kicking and smiling and grabbing for your finger." The heartthrob said it is "mind blowing" to have a new addition to their family and really "exciting." He added: "I honestly can't wait to spend more time with her." But Joe, who is dating model Blanda Eggenschwiler, has no desire to settle down himself just yet. He said: "I will take my time. I will take my time with running around and having my fun. Down the road."